Conceived and produced by Dodge City Marshal Allen Bailey, Western Swing & Other Things brings to listeners world wide a blend of Western Swing & Cowboy music, humor, poetry and western lore that is unique to the High Plains region. Each week, the Marshal and Cowgirl Janey feature Western Swing Old and New, Country Music Classics, Cowboy Songs, Cowboy Poetry, and so much more.. requests are always welcome! Plus, hear rebroadcasts of our Regional Program, High Plains History, the news from the Howell Social Club, and the latest from Abner's Guitar Shop. The perfect way to spend a Saturday morning! Now in our 30th year! We'll be lookin' for ya! Scroll down to view program playlists. Contact Allen. View Facebook page. WSOT now has a Facebook page! Western Swing and Other Things now has a Facebook page! Now you can keep up with the Marshal and Cowgirl Janey all through the week while they not behind the mic at the Broadcast Barn of the Swinging Gate Ranch. Its also a great way to leave personal messages, dedications, or requests for songs. Marshal Allen Bailey's Swingin' Gate Ranch is the broadcast home of Western Swing & Other Things. The nearby entirely exclusive Howell Social Club hosts the area's classiest events, including the Spring 2011 Woodchopper's Ball. 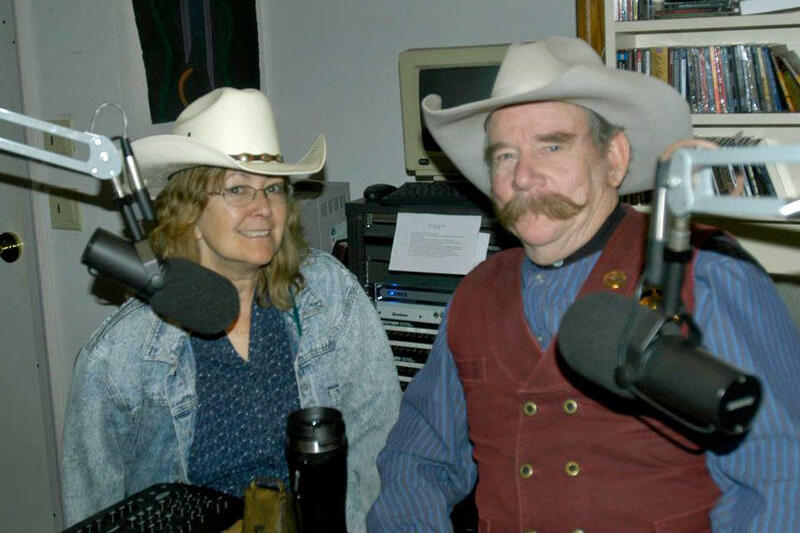 Western Swing & Other Things travels the High Plains territory from time-to-time with appearances and special broadcasts by Marshal Bailey along with Cowgirl Janey. The Marshal and the program have also garnered many awards over the years both locally and nationally. Marshal Allen Bailey hosting Western Swing & Other Things from HPPR's Garden City, KS studios.